TROY, Ohio -- A body that was discovered in a ditch along an Ohio roadway 37 years ago has been identified as an Arkansas woman through the use of "revolutionary" DNA techniques. The victim had been known as the "Buckskin Girl" because of the distinctive buckskin jacket she was wearing. Her body was found in Troy in 1981. On Wednesday, the Miami County [Ohio] Sheriff's Office said the body was identified through DNA testing as 21-year-old Marcia King of Arkansas. She died of strangulation and blunt force trauma to the head. Dr. Elizabeth Murray, a forensic anthropologist with Mount St. Joseph University in Cincinnati, said the case involved "groundbreaking" work through the nonprofit DNA Doe Project to apply genetic genealogy to the identification of unknown persons. "This is not your run of the mill 'DNA solves unidentified person,'" said Murray, who has worked on over 30 Ohio cold cases, at a press conference Wednesday. "I think you'll hear today that this is really some revolutionary and groundbreaking work." Law enforcement had until now been unsuccessful in identifying "Buckskin Girl," despite using multiple investigative techniques, Murray said. Investigators who found the slain woman publicized the unique jacket she was found with, hoping someone would recognize it and come forward, to no avail. DNA profiles of the victim had been developed through the Miami Valley Regional crime lab in 2001 and through a DNA lab at the University of North Texas in 2009. 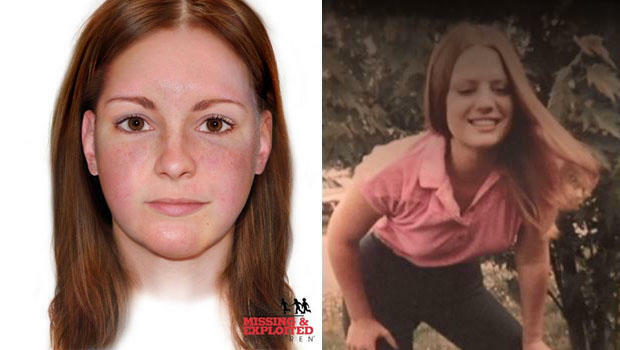 In 2008, "Buckskin Girl" became one of the first people entered into the university's National Missing and Unidentified Persons System database, Murray said. Murray said both DNA profiles were uploaded to CODIS, the federal DNA database, with no matches. In 2016, the National Center for Missing and Exploited Children released a new facial image of "Buckskin Girl" which was then distributed to the media, but no one who recognized her came forward. Then last year, Murray said she met the founders of the DNA Doe project at a conference and began working with them. "I said, I have the cases, if you have the technology," Murray said. "Buckskin Girl" was one of those cases. Murray said a private lab was able to develop a DNA profile of the victim using a vial of the victim's blood taken after her murder. That profile was handed off to the DNA Doe project, which was able to use it to identify a relative of the victim via a public genealogy database, with tools similar to those used by for-profit genealogy companies. The relative gave a sample of their DNA to the Miami Valley Regional crime lab, which confirmed the match. The sheriff's office says investigators are now focused on finding her killer. Speaking Wednesday, Miami County Sheriff Steve Lord said he has been in touch with the victim's family, who have been cooperative. Police say King's mother has lived in the same home for the last 37 years and hasn't changed her phone number, in the hopes that her daughter would return. "They were hopeful Marcia was going to come home, however they're learning at this date that that's not going to happen," Lord said. Lord appealed to anyone who may have information to come forward. He said police believe King was in Louisville and Pittsburgh in March 1981, the month before her murder. Police say she was never reported as a missing person. He declined to give further information, citing an active homicide investigation.